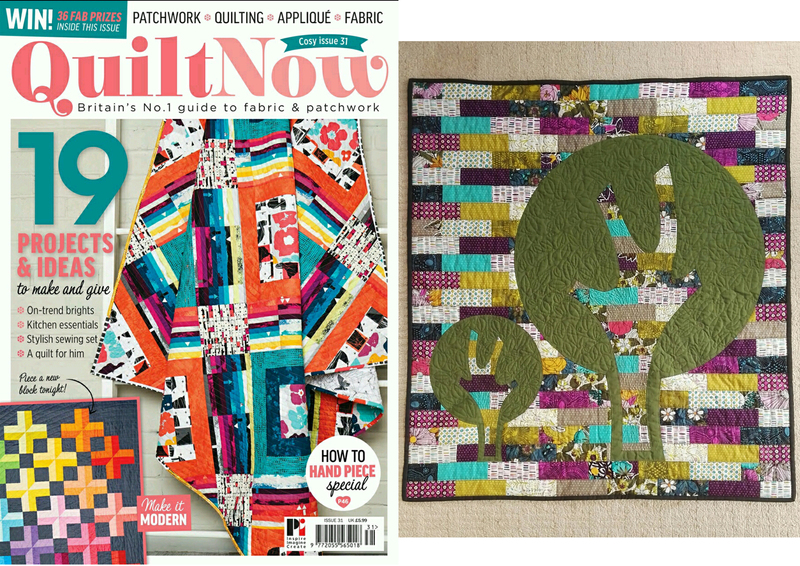 Over the Summer of 2016 I spent time making and designing a scrappy quilt for Quilt Now magazine. 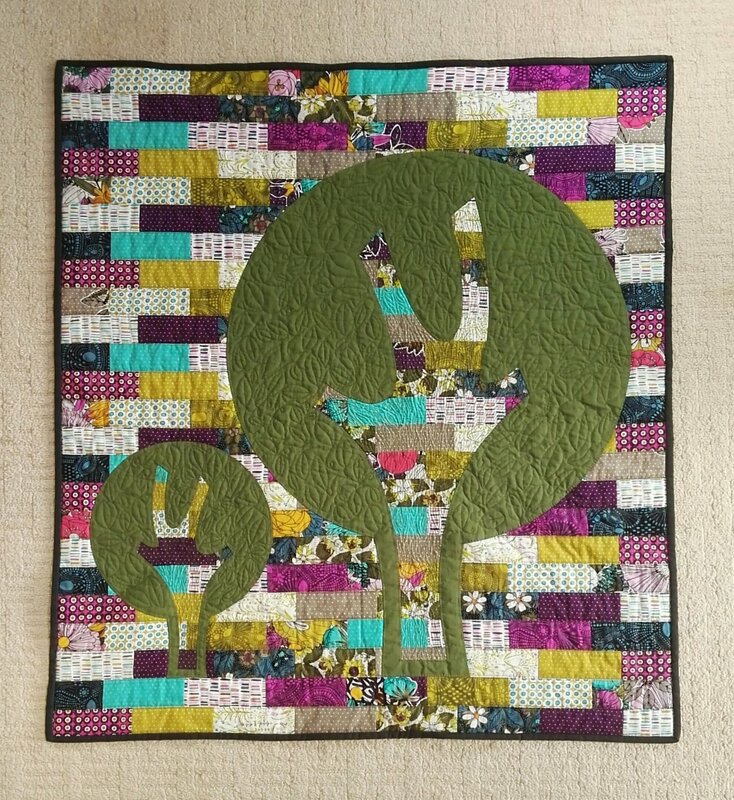 I had a set of Fat Eighths from the Garden Secrets range (by Sarah Watson for Cloud 9) to work with and the brief was to create a scrappy quilt in a cot or lap size. I went for a brick design with a tree design appliqued over the top. Initially I went for a large Hare, but I just wasn’t feeling it….it wasn’t quite me. 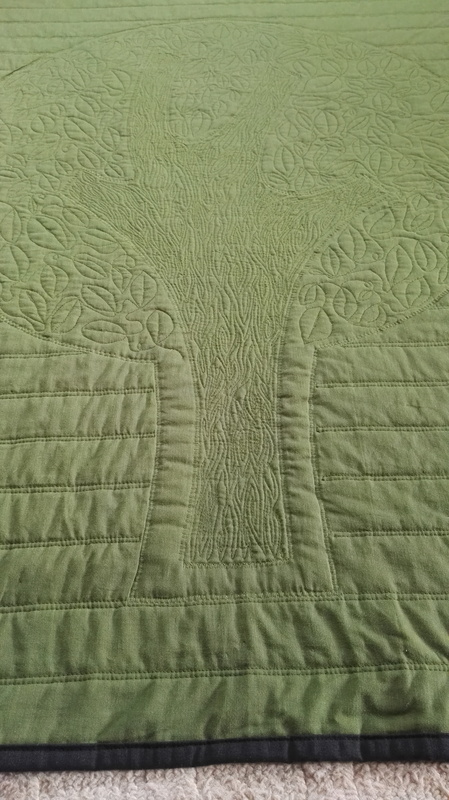 After I had attached the tree to the backing using a blind hem stitch I took a deep breath and went for it with some free motion quilting. 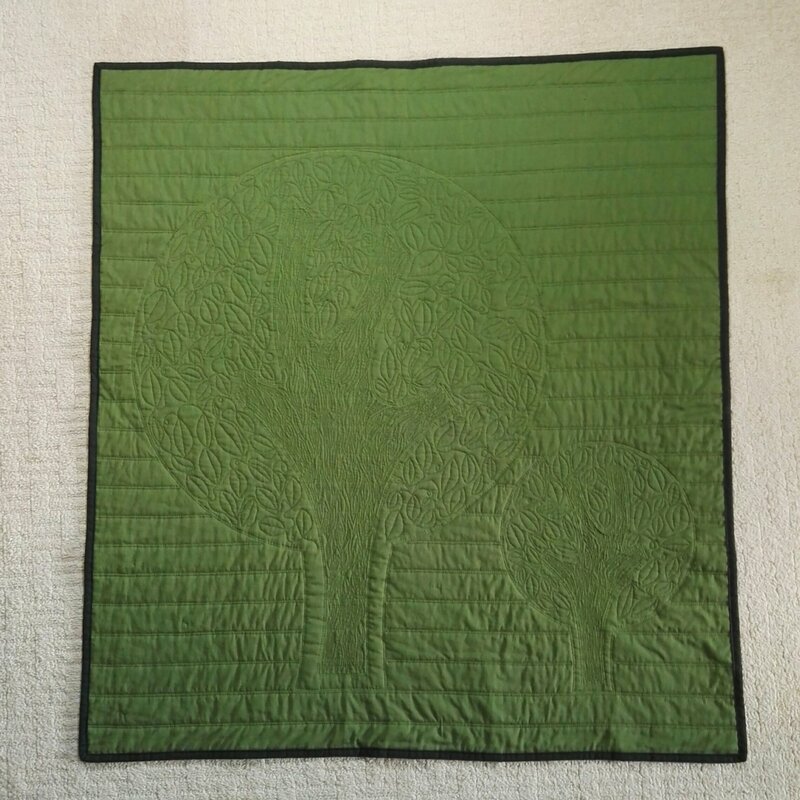 As always with FMQ, it took much longer than expected! I am however really pleased with how it turned out. The stitch length is not terribly even, but you only notice if you are looking too closely! I did some tree bark effect on the trunk and branches and some meandering leaves for the rest of the tree. The quilt is now back home from the photography studio (must get a copy of the picture they took) and is keeping me warm on the sofa on these chilly nights!